As medical technology continues to develop and advance, and the health industry as a whole evolves to better serve patients and their families, Bimac is committed to casting parts that ensure the operational efficiency and safety of lifesaving medical equipment. Bimac has developed and produced many parts for the medical industry, including centrifuge parts used in equipment to separate blood components for blood testing, as well as parts for radiography (X-ray) machines and MRI units.  Bimac’s ISO 9001:2015 certification and in-house machining and non-destructive testing capabilities ensure that each precision casting part we produce meets the standards for quality the medical, and any other industry, demands. Contact us to learn more about our medical-specific products and precision casting services.